Nolimit is a completely implemented nonlinear planner that uses an intelligent casual-commitment strategy to guide its search process. The casualcommitment method used to achieve its nonlinear character is in contrast to the least-commitment strategy used in other nonlinear planners. Nolimit has the ability to call user-given or automatically acquired control knowledge in the form of control rules or guiding cases at all its choice points. 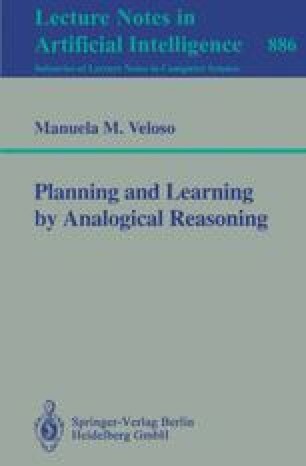 The subsequent chapters of this book describe the extensions of Nolimit into an analogical problem solver that replays past problem solving episodes.